I use the term gourmet pretty loosely here because in reality this meal was utterly easy to make yet tasted so fantastic. Simply roast some red capsicum and remove the skin. 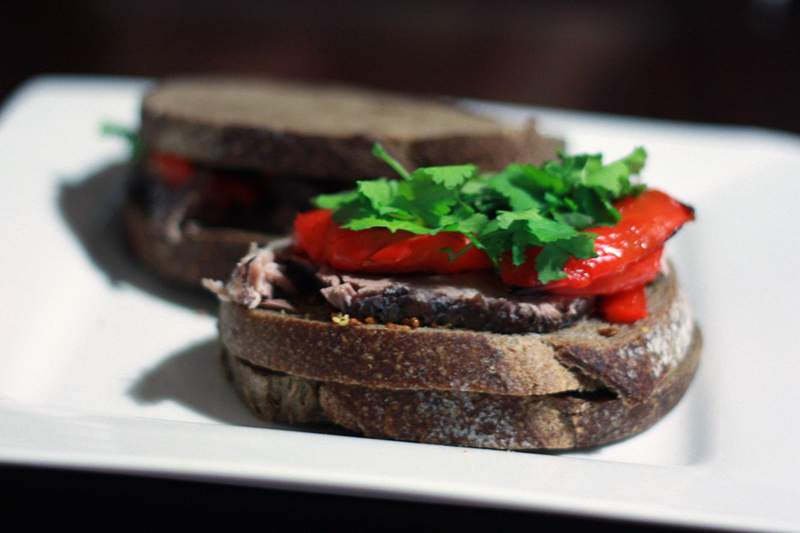 Spread mustard on rye bread (or another artisan bread of your choice), then stack sliced lamb, capsicum and coriander. Close sandwich and eat! Too easy and a great way to use up those leftovers.